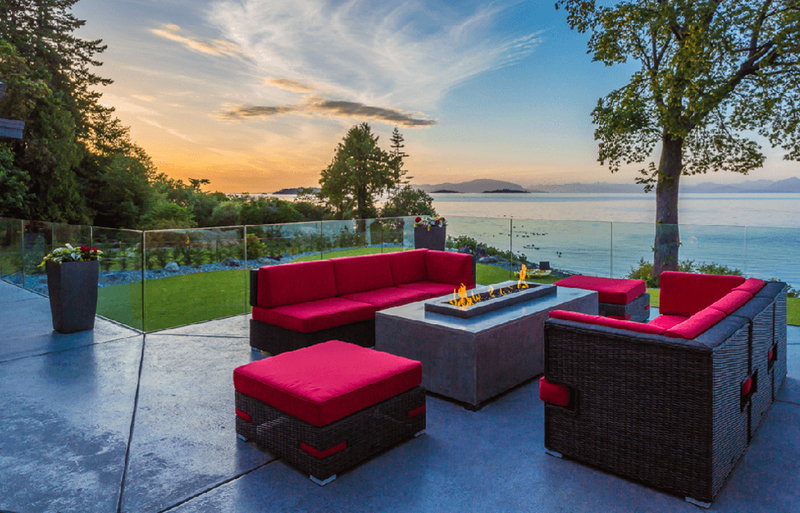 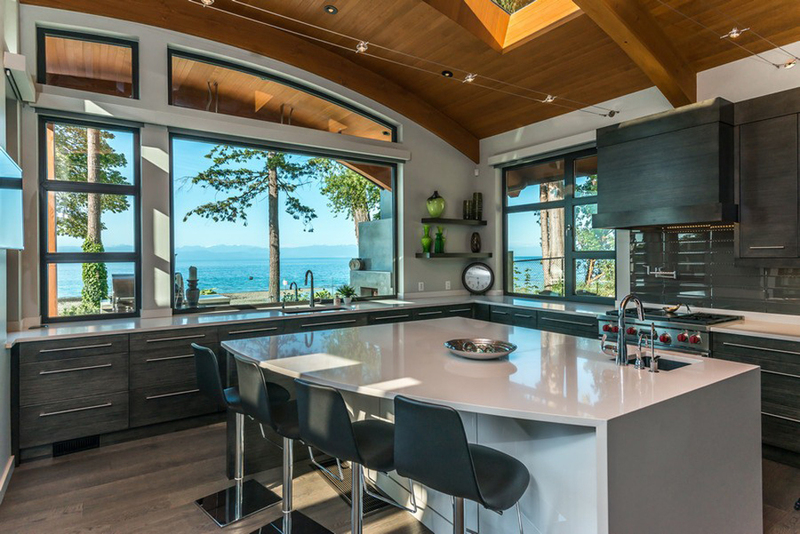 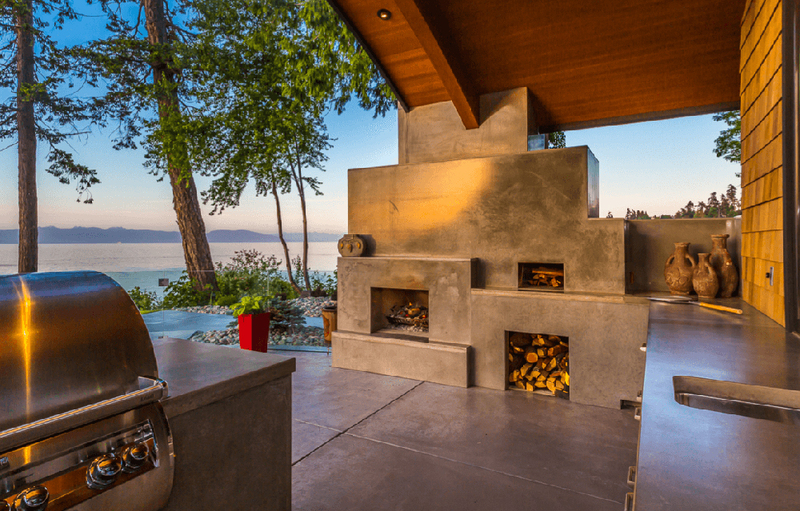 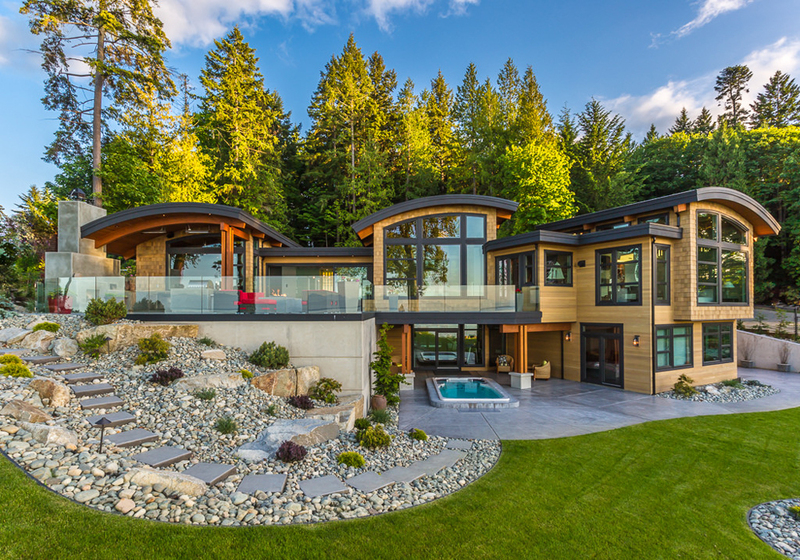 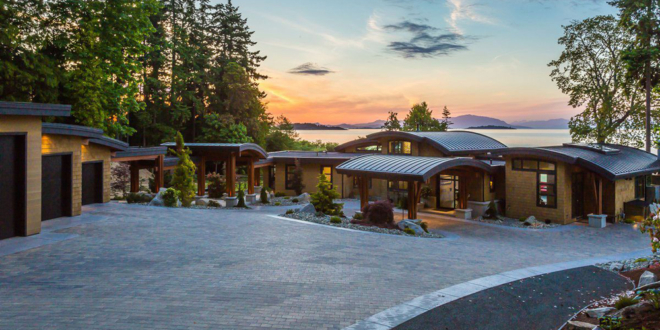 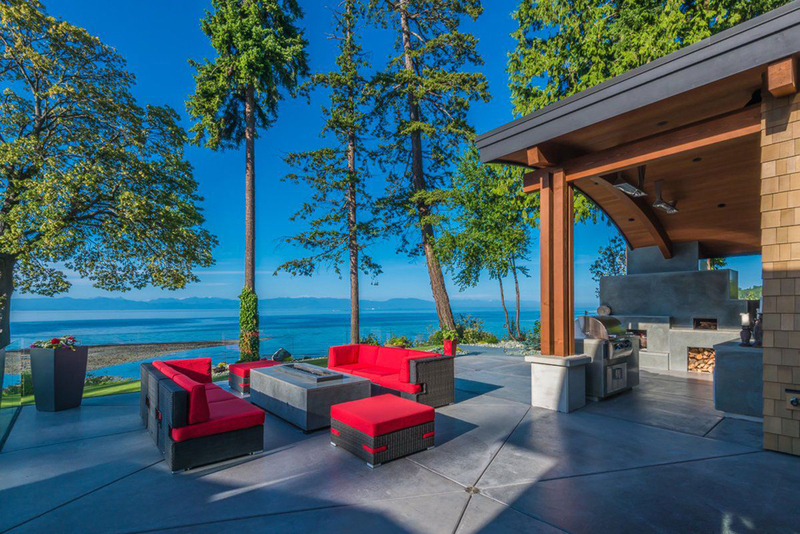 Cadence is a magnificent waterfront home in British Columbia, Canada. 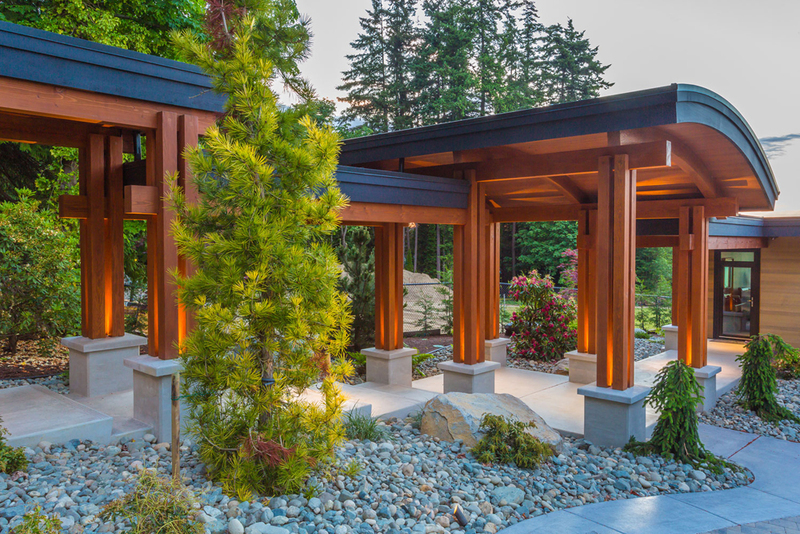 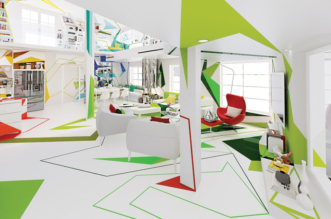 It is consists interconnecting pavilions which create a natural flow through its more than 4,000 square feet of space. 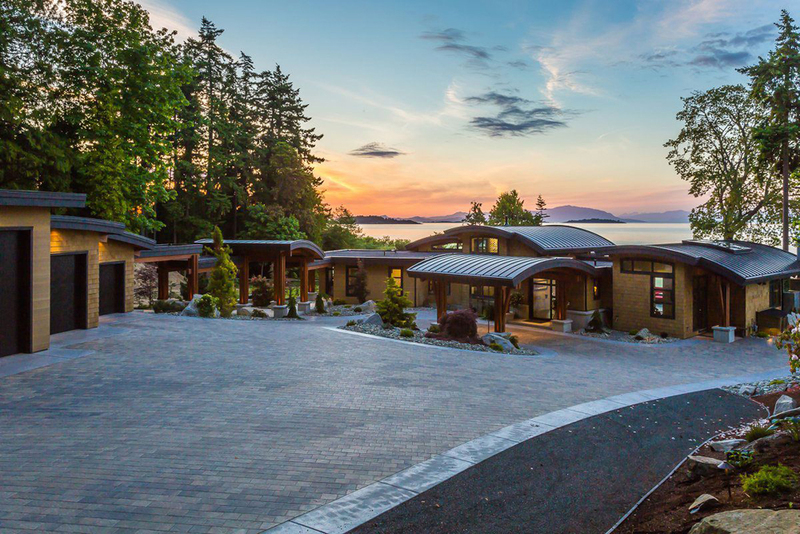 The home uses distinctive radius roofing in a design reminiscent of relaxing ocean waves. 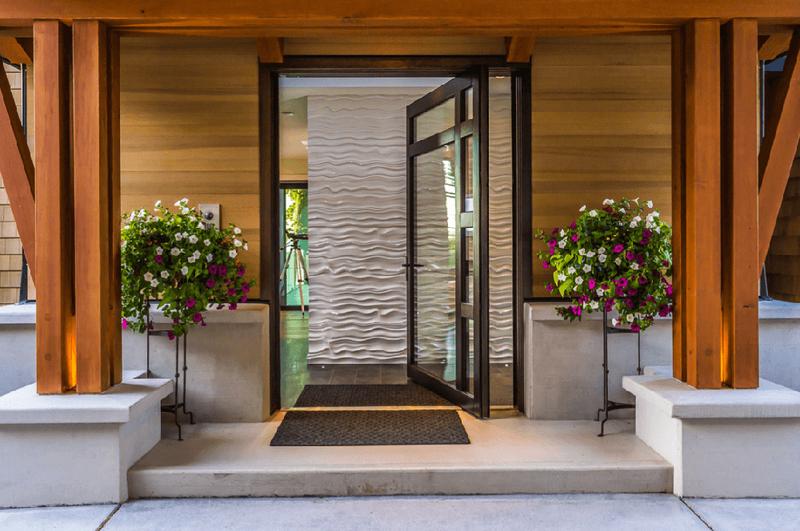 This is outstanding on the breezeway that connects the home to its multi-car garage and over of its main entrance on the second floor. 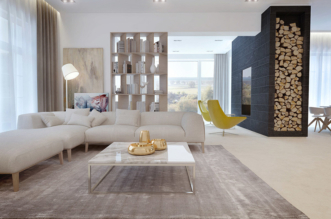 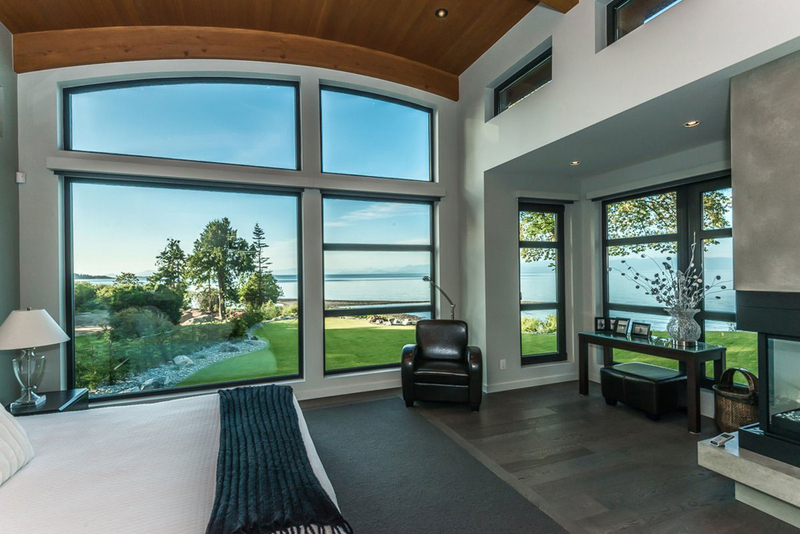 In every room, large windows are providing natural light and ocean views. 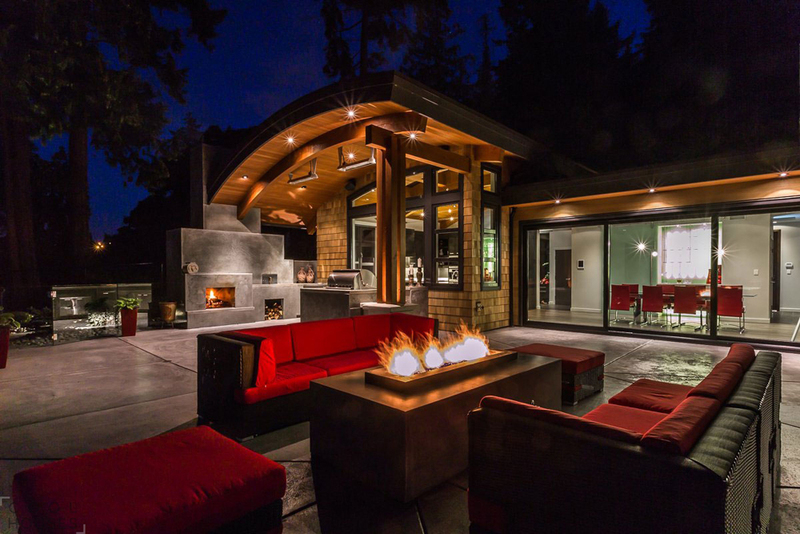 A sliding glass door of the dining room opens to a long patio with an outdoor kitchen and concrete fire pit. 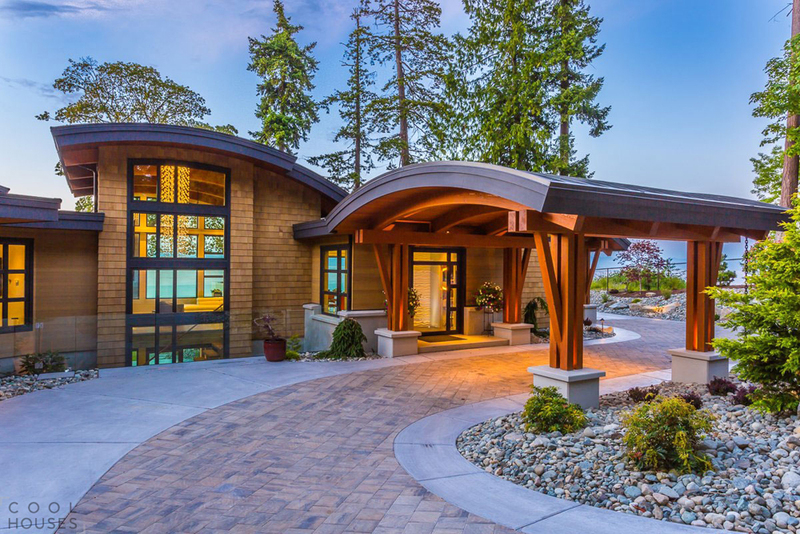 A curved walkway flows from the outdoor patio to a pool on the home’s lower level. 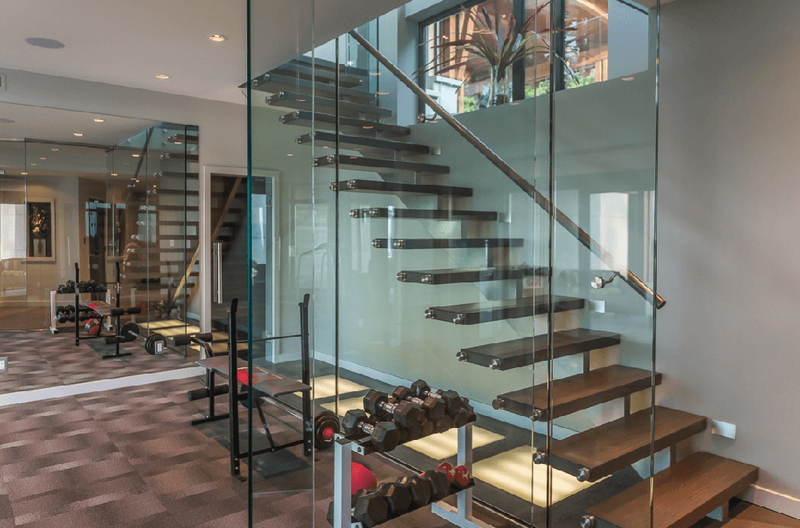 In interior, a floating staircase connects the two floors, echoing modern design touches throughout the space. 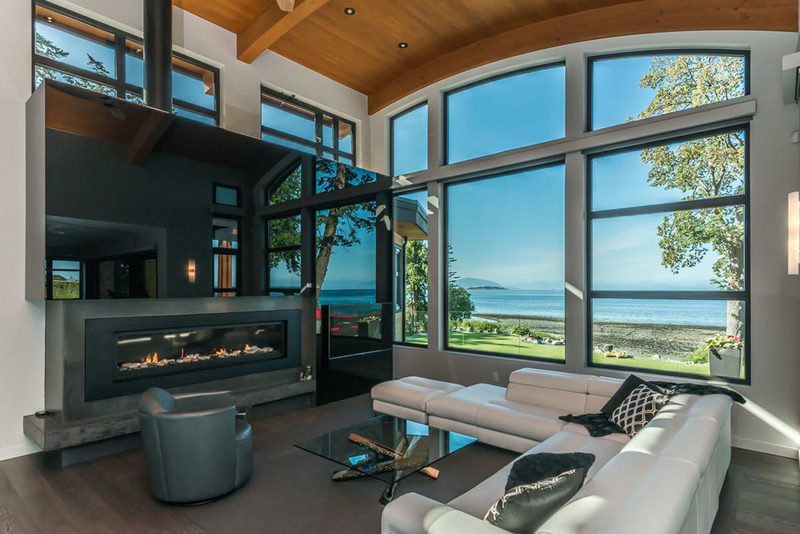 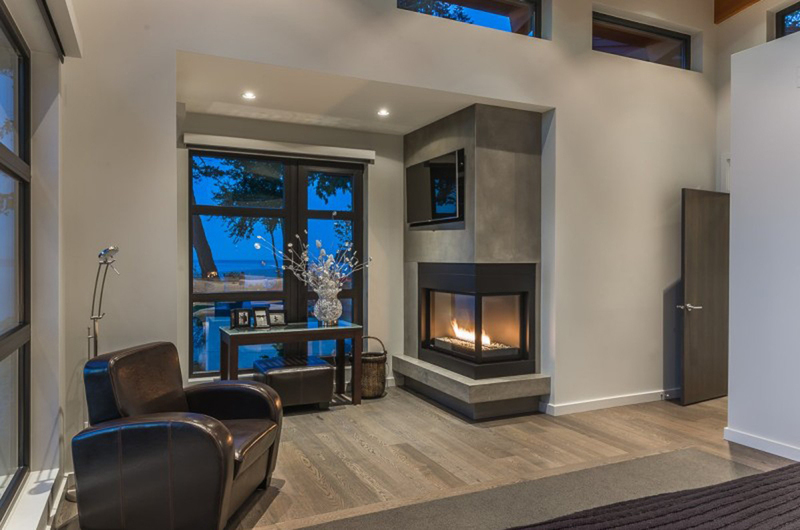 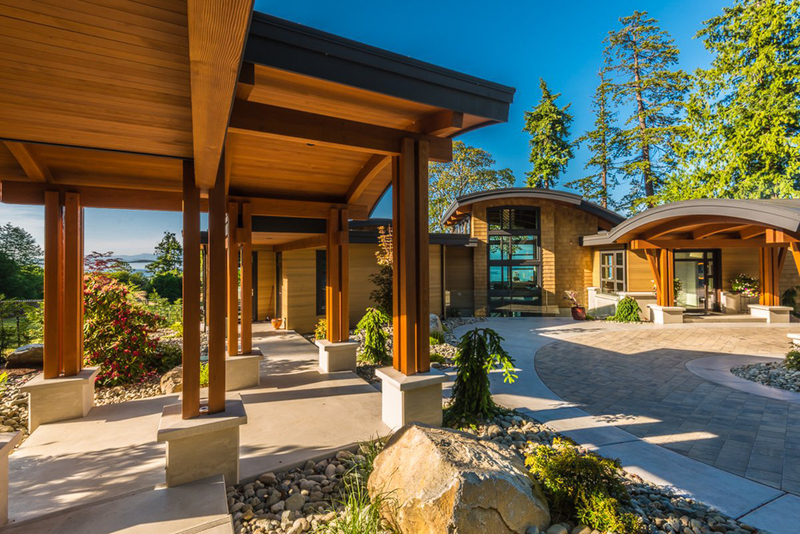 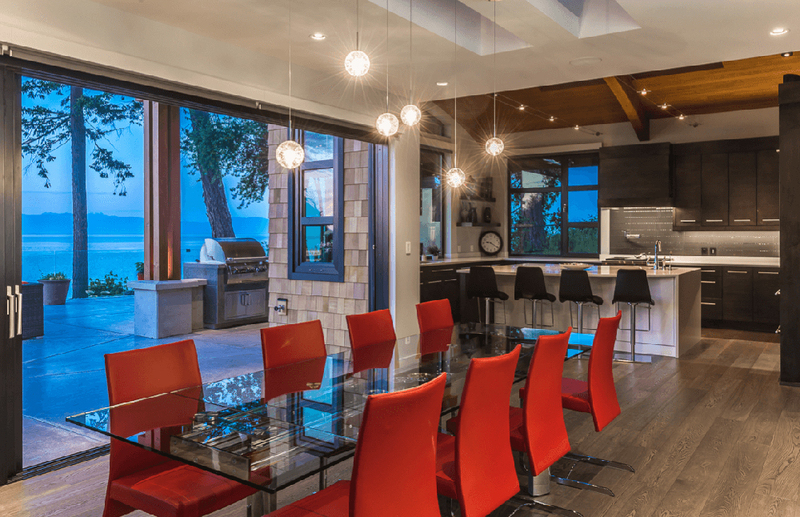 The interior of the Cadence home makes the most harmonic configuration of Vancouver Island’s unusual environment.